Often overshadowed by its infamous allies, the Hungarian Armed Forces still played a significant part in World War 2. Having joing the Axis powers at the behest of Germany, Hungary soon began to participate in a number of campaigns, most significantly the invasions of Yugoslavia and the Soviet Union. 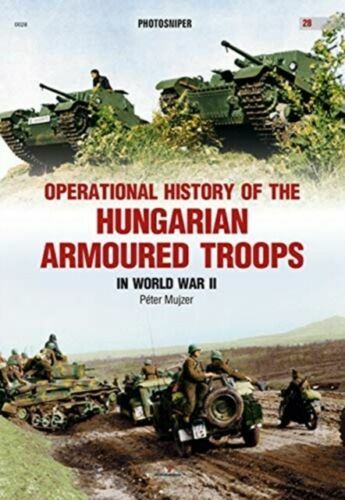 The author sets out to present the complete histories of the different armoured formations in the Hungarian Armed Forces as well as the personal history of the crew. Through a set of highly detailed photographs, this latest book in the PHOTOSNIPER series presents the complete armoured divisions of Hungary like never before.